When I met Anthony more than two years ago, it had been nine years since his son was murdered at the age of 18. His son had been walking in Little Village, a neighborhood on Chicago’s West Side. A van stopped next to him, one of the three men inside jumped out and shot him in the head at point-blank range. He did not know them, and they did not know him. The three men had been involved in an escalating series of crimes across the city that culminated in the murder of Anthony’s son. Anthony was referred to my outpatient mental health clinic in the nearby neighborhood of Douglas Park, where I work as a therapist. His mother and sister had grown quite concerned about him. When we began working together he sat hunched over, eyes lingering on the floor. A visible heaviness lay upon him. He couldn’t sleep, was having panic attacks. He often spoke of suicide but always managed to skate back from the edge of what would allow me to admit him to the hospital. I ended each session nervous that he might not come back. Anthony blamed himself for his son’s death. By the time of the murder, he and his wife were divorced, and she had received full custody. Anthony had been involved in gangs as a teenager and had done some time in a juvenile institution. He has little education and is functionally illiterate. He hoped for a better life for his son and his two older daughters. Maybe if he and his wife didn’t get divorced, maybe if he had just been around a little bit more, maybe if his son didn’t live in a violence-plagued neighborhood, the same neighborhood in which Anthony had grown up. Our clinic is only about a mile from the spot where Anthony’s son was killed. It’s attached to a hospital from which Anthony was referred to us. By the time I started seeing him in 2015 he had no income and was sleeping on his daughter’s couch. Today, I’m happy to report that his condition has improved. He has begun to receive disability, due in part to his mental illness but also due to several physical issues that stem from a lifetime of manual labor. He has his own apartment now where he lives with his mother and brother. He has transitioned from an object of concern to a caregiver, looking after his elderly mother. He deeply mourns his son, and that will not fade, but he has begun to move on with his life. Living amidst such terror leaves deep psychological scars, and Chicago’s mental health system has not been adequate to the task. Sadly, Anthony is not unique. I see other patients who have lost loved ones to gun violence or been marked by gun violence themselves, in ways both visible and not. The majority of my patients don’t feel safe walking around their block in daylight. Living amidst such terror leaves deep psychological scars, and Chicago’s mental health system has not been adequate to the task. Lutheran Social Services, the largest human service provider in the state, cut 30 programs and eliminated 750 positions due to the state budget standoff, which lasted more than two years until lawmakers overrode the governor’s veto this past July. Standoff aside, the overall state budget for mental health services in Illinois was cut by $113.7 million between 2009 and 2012. Recent developments, though, have begun to give me hope. In December 2016, residents of the area in which I work did something quite remarkable: They asked the city to raise their property taxes. Eighty-six percent of those living in North Lawndale, West and East Garfield Park, and the Near West Side agreed to pay an extra $4 for every $1,000 paid in property taxes to establish a free community mental health center. The combined neighborhoods experience violent crime at a level 2.5 times higher than the the rest of the city, and, while the Near West Side is relatively affluent, the median household income of the other three neighborhoods is roughly $22,000 annually. Despite a relative lack of means, these Chicagoans demonstrated an understanding that robust mental health services make for better communities. When the West Side Expanded Mental Health Services Program opens later this year it will be the second such center established by and for a Chicago community. The first, known as The Kedzie Center, was approved by voters in 2012 to serve the North Side neighborhoods of Albany Park, Irving Park, North Park, and areas of Forest Glen. The Coalition to Save Our Mental Health Centers worked with significant community support to place a referendum on the ballot. The vote to establish the Kedzie Center was actually the third time the community had voted in favor of the plan; In 2004 and 2008, non-binding referendums were passed (by 58 percent and 71 percent, respectively) but ignored by City Council. The Coalition then bypassed the city and focused on statewide reform, leading to the 2011 Community Expanded Mental Health Services Act, which ensured the third and final vote in Chicago would be implemented. According to Dr. Ellyn Daniels, a clinical psychologist and activist working in Chicago, the establishment of the Kedzie Center was the culmination of a movement that began in 1991. “The initial shutting down of the various city mental health centers began back then and just stepped up in time,” she says, adding that it was accelerated by the election of Rahm Emanuel. Emanuel was sworn in as Mayor of Chicago on May 16, 2011. His first budget called for the closure of six of the then-12 mental health centers run by the city. It passed unanimously. Less than a year later, half of Chicago’s city-run clinics were gone. Emanuel claimed that the caseload of the six shuttered centers, around 3,000 patients, would be easily absorbed by surrounding agencies and services would be improved at the remaining clinics. Protests ensued, led by the Coalition and including other activist movements. The city responded by sending two undercover police officers to monitor the protesters. As reported by The Chicago Reader, “Mo” and “Gloves” stated that they came from the Occupy movement, and they were even arrested alongside other protesters, but they were later revealed to be officers of the Chicago Police Department. The city evidently was listening, just not in the manner the Coalition had hoped. West Side residents agreed to pay an extra $4 for every $1,000 paid in property taxes to establish a free community mental health center. These Chicagoans demonstrated an understanding that robust mental health services make for better communities. The only answer given to the public for the clinic closures was closing fiscal gaps in the city’s budget. The overall savings was about $3 million, or .04 percent of an overall budget of $8.2 billion. But the city offered Boeing $60 million in government subsidies to relocate its headquarters, $55 million in tax money to subsidize a new arena for DePaul’s basketball team, and, in combination with the state, a benefits package worth $2.25 billion to Amazon if it chooses to locate its second headquarters in the area. It appears that the money can be found if the city is motivated enough to look for it. What’s more, Chicago’s murder rate has skyrocketed under Emanuel. In 2016, the city had 792 murders, a 19-year high. In 2017, there were 670 killings. While the loss of life is staggering, the number of people impacted is far greater than the totals cited above. I work with more than a few patients coping with losses attributed to Chicago’s gun violence, and I see many more who have had to reshape their lives around the unfortunate reality of frequent gunfire. The rate of PTSD-related symptoms is astoundingly high in many of these troubled neighborhoods. It does not take direct exposure to violence to absorb the feelings of terror and anxiety that come with pervasive trauma, and it is relatively easy for these sensitivities to be passed on unknowingly to future generations. Studies of the children of Holocaust survivors have demonstrated that the long-term effects of trauma can be mitigated by living in a strong community amongst a network of supportive neighbors. By closing half of the city’s mental health centers and 50 schools (almost all of them on Chicago’s West and South sides), the mayor has chipped away at these sources of resilience, making future generations more susceptible to PTSD and other mental illnesses. Of late, Emanuel has tried to position himself as a champion of the undocumented, filing a lawsuit against the Justice Department for its threats to cut off funding due to Chicago’s sanctuary city status. But as the record shows, the mayor has decimated services that serve the uninsured and the poor, exactly those people whom he claims to be protecting. Mayor Emanuel’s first budget called for the closure of six of the then-12 mental health centers run by the city. There is one mental health facility in Chicago that has not had its funding threatened: Cook County Jail. A third of the inmates experience mental health issues, and the number of mentally ill inmates increased threefold to 2,800 from 2010 to 2014, a time period coinciding with the closure of the six clinics. At least a third of these mentally ill inmates were incarcerated for low-level offenses. Not only is it inhumane to incarcerate the mentally ill, it is also expensive; it costs around $143/day to house a healthy inmate, two to three times that amount for one with a mental illness. Another problem threatens to reduce access to mental health care across the board, no matter one’s income or social status: the rise of brief, scripted treatments with little room for flexibility and insurance companies’ preference for psychopharmaceuticals over individual therapy. In the past year, less than a third of people who take antidepressants have seen a mental health professional (meaning a therapist or a psychiatrist). Rather than augmenting therapy, it is clear that medication has begun to eclipse it altogether. The APA made waves recently by recommending treatments of 16 sessions or less for trauma. Even setting aside my doubts about the methodology of their conclusions, it is staggering to think that any individual could somehow surmount the pervasive effects of trauma in under 16 hours. The increasing shift to brief therapies disproportionately affects the poor because they are simply unable to pay for additional treatment. Many insurance companies continue to resist the federal mandate that established parity between mental health and other forms of healthcare, and the efforts to force them to comply take both time and money. Since the clinic closures in 2012, one of the surviving clinics has been transferred to private management, leaving the city with just five mental health centers. The unique structure of the Kedzie Center and the forthcoming West Side clinic insulate them from the whims of the Emanuel administration. There is one mental health facility in Chicago that has not had its funding threatened: Cook County Jail. The priorities of The Kedzie Center now, according to Dr. Sedeño, are “to establish our areas of expertise, strengthen our model, which we hope will become a model for other such centers, and to establish a funding model that allows us to grow to meet the developing needs of our service area.” The first experiment in duplicating The Kedzie Center model will begin on the West Side and hopefully spread to several other communities across Chicago. The approach of the Coalition to Save Our Mental Health Centers represents a chance for communities to seize the reins of power and organize for themselves the services they deem necessary in their communities. If residents are willing to pay just a few more dollars a year in property taxes, they can ensure that robust mental health services — which can serve as bulwarks against the violence too often associated with our city — are available. I don’t know if such services would have prevented the murder of Anthony’s son, but I do know that had Anthony received mental health services earlier, his suffering would have been greatly reduced. To support more articles like this one, become a member of Belt Magazine starting at just $5 a month. 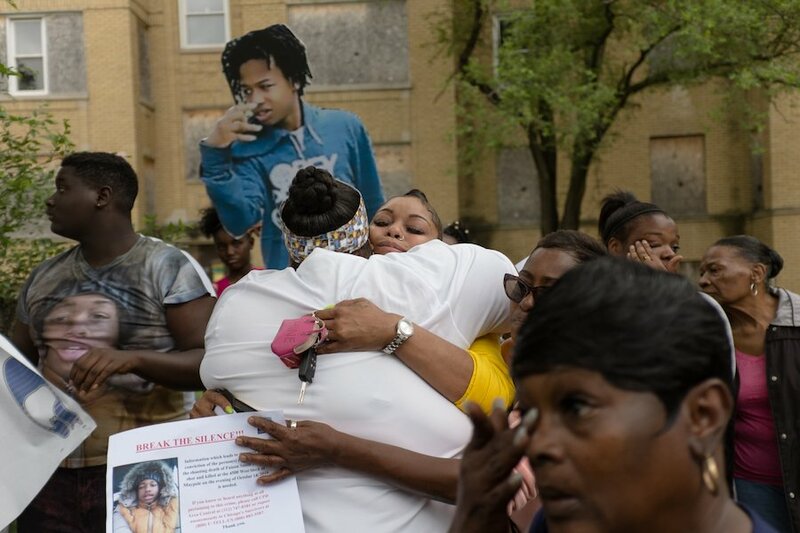 Banner photo: Two mothers, who both lost a son to gun violence, comfort each other in the Chicago neighborhood of West Garfield Park. 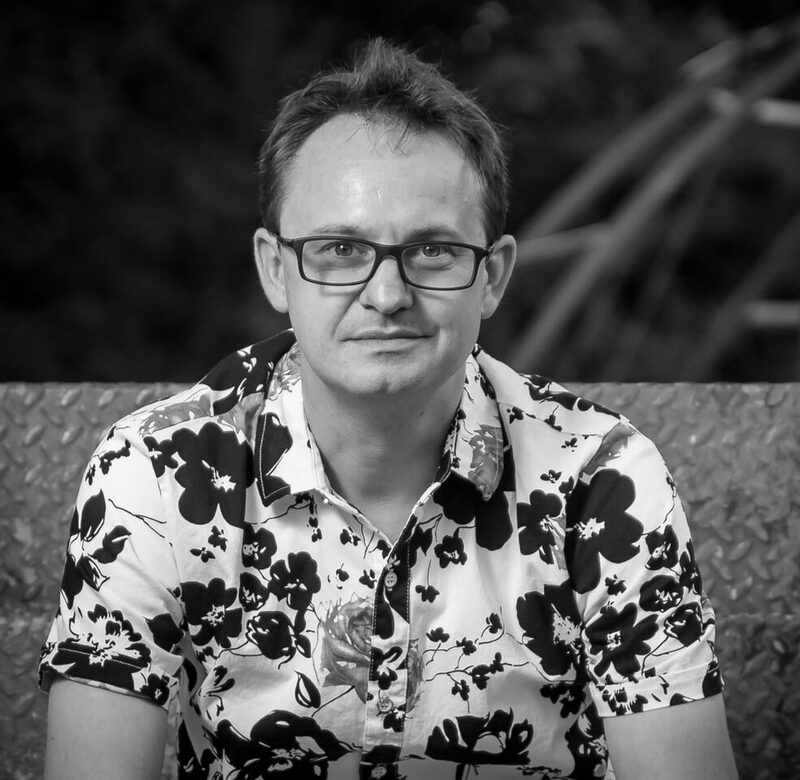 Jonathan Foiles is a writer and mental health professional based in Chicago. He writes a blog for Psychology Today and has previously written for Slate. He can be reached at jonathan.foiles@gmail.com.